Last week, Aja Wilson asked a question that many WNBA players have posed before her. Tweeting after learning that Lebron James had signed a new $154 million dollar contract with the Los Angeles Lakers, she lamented the fact that WNBA players were “looking for a million.” Many people immediately attacked her stance with the repetitive critiques that have been going on for years. Whether you choose to watch the WNBA or not, the pay gap between them and the NBA is a major issue for the league. Let’s be honest; there aren’t many people or business entities that would be fine with making considerably less than a a counterpart for doing a similar job. Just like the NBA players are the best in the world in their profession, the WNBA hosts the best players in the world as well. Don’t get me wrong, I would drop everything right now to play the game I love for $55,000. However, I’m just a regular guy. 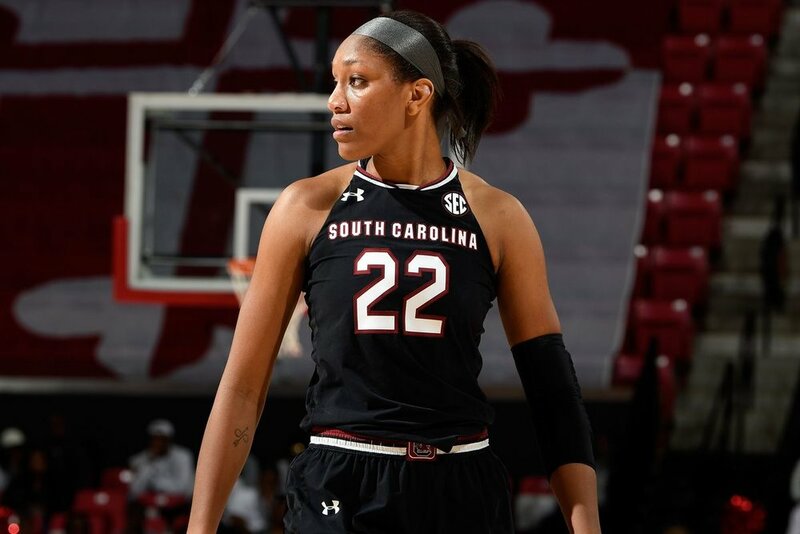 Aja Wilson was the number one overall pick this year and will be making this salary when the 60th pick in the NBA draft can make considerably more than that, even on a one year guaranteed minimum deal. Therefore, when these women (both WNBA and NBA players alike) say they deserve more money, I’m in agreement with them. There are, however, considerable roadblocks that prevent this from happening. Forbes has an article that breaks down the revenue of the league, which states that the league pays the WNBA players less than 25% of its total revenue. In comparison, the NBA pays a little less than 50% to their players. To put that in perspective, suppose the WNBA makes $40 million dollars for the year as a league, the players would only see around $10 million. And that may seem a lot, but when you figure in that there are roughly 132 players in the league at a time (12 teams with 11 players a piece), that averages to a little over $75,000 a year. Players have just found it better to play year-round, playing in leagues in other countries for significantly more money. The most famous example is Diana Taurasi being paid $1.5 million dollars to sit out the WNBA season just to play in Russia. Critics panned the move immediately but how could you blame her when she made nearly 10 times her WNBA salary? From this information alone, the solution suggests that the league increase its budget for player salaries. It’s just not as simple as the general public would like it to be. Even if the WNBA were to increase the league’s spending on player salaries, the pay would still be scarce in comparison to the NBA, because the WNBA isn’t generating enough revenue. Ticket prices for even floor seats are inexpensive, which encourages fan attendance, but with the prices being as low as they are, there isn’t much room for a large net gain. Alhough there isn’t complete data in the previously mentioned Forbes article, it does provide enough insight on how there is a big difference in money made from tickets sold and merchandising during games between the two leagues. The league could make an executive decision to up their prices, but then they’ll eventually run into the dilemma that has plagued them for a while: fan interest. WNBA has not been able to attract the average viewer, the viewer who isn’t necessarily a die-hard basketball fan. NBA has millions of fans that don’t necessarily LOVE basketball but have found the game interesting to devote time into it. This is the market that WNBA hasn’t been able to tap into. Research and studies have shown that attendance per year fluctuates, so increasing prices could help with salary gap, but that would hinge upon the steady attendance numbers. Something else I think would be beneficial to the WNBA and something I think is missing is the accessibility to the stars of the league. I have a friend who told a story about how he was in the mall and Elena Delle Donne was in a store and not one person came up for an autograph or picture. EDD is one of the best players in the world right now, an annual MVP candidate, yet no one recognizes her? My friend brought up that there are no billboards with her face on it. Why is that? If she’s one of the best and brightest in the city, why aren’t they highlighting that? Same could be said about a lot of the women in the league. WNBA and their teams don’t do enough to promote their stars. It seems like when I’m watching the game, I’m not getting enough of the players personality. I’m not saying they need to shimmy after long threes or flex after every And-One, but it’s to the point where the league is portraying this as women playing basketball instead of the best professionals vying for a championship. As a fan of basketball, I have no problem watching the WNBA. If a good game is on-chances are-I’ll tune in and watch it. The league has done a few new things to try and improve their status, like how they now broadcast games on Twitter; it’s an innovative way to reach more of an audience. However, there are other things they can do, but haven’t done to improve their strategies to try to attract more fans. Analysts need to get more into the game and instead of just calling the game, provide some more fun banter that we hear during NBA games. Personally, I’d like to see improved officiating. I watched a Lynx-Sparks game where Sylvia Fowles picked up her dribble, got doubled, dribbled again to get away from the double and not one whistle was called. Don’t get me wrong, the NBA can be atrocious, but there are way too many instances like this in WNBA. Another awesome way to possibly generate traffic and attention would be for the NBA players to lend their ongoing, non-commercialized support to the league. I’ve seen Damian Lillard speak up recently and he and Derozan were seen at a game after Aja Wilson’s statement. More and more players should go to games (because those commercials where the players sound like robots telling us why they love the WNBA aren’t effective). I also think if the NBA really wants to continue to be progressive, they should pour some money into the WNBA. I’m sure the NBA can find money in the budget to help close the gap in pay between the two leagues. The WNBA has had its fair share of tough times since its inception. The Houston Comets, who won the first four championships, folded years ago along with several teams. But even with that, they’re still here, hosting the best professionals in the world. It’s about time they get paid accordingly.